WHAT's A COMMUNITY FIRST CAMPUS? It's where bright ideas are turned into practical solutions with a high social impact! Thanks to a participatory, people-driven approach to community development in the research stages, our field team is able to better narrow-down the technologies and solutions that can have the most significant impact. The Community First Campuses serve as a hub to bring connect our global network of highly-skilled volunteers & Rotarians and other changemakers from around the world, and engaging them with the local communities to help us design better, more effective and more sustainable solutions. Built by Community First in 2009, the Sen Sok Campus has been serving the needs of the community in many different ways. Initially built and developed as a training center, it is currently being upgraded to bring off-grid social innovation where most needed. Starting with aquaponics, the overhauled Sen Sok Campus will train classes of up to 30 villagers twice a year. In addition to technical training, other 'soft skills' will also be taught such as business planing, other entrepreneurial skills, family health & nutrition as well as leadership and communications skills to help young farmers become the entrepreneurs they seek to be. The Community First Sen Sok Campus is located in northwestern Cambodia, in the Province of Siem Reap, District of Kralanh. 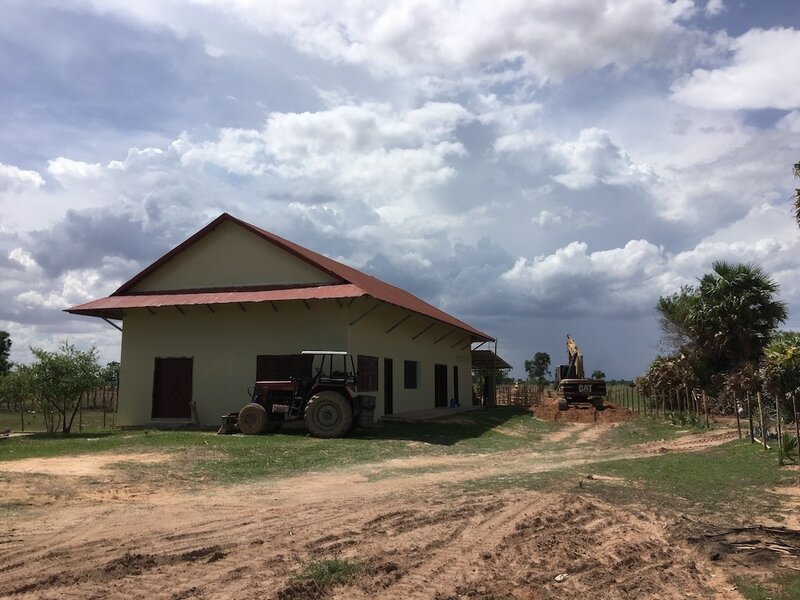 An hour away from the ancient temples of Angkor, this unique location provides access to the high value-added markets of Siem Reap's hospitality industry which represents a significant economic opportunity for subsistence farmers to turn their homestead into successful commercial farming operation with the right skills and resources. ​come and visit our campus!